HOWEY-IN-THE-HILLS, Fla. -- If you want a respite from winter but don't want to play a typical Florida golf course, you might want to check out Mission Inn Resort & Club. No. 7 on Mission Inn Resort & Club's El Campeon golf course features a tight fairway and an approach over water to a tight green. The highly popular El Campeon Course at Mission Inn Resort consistently ranks in the top 10 of Florida's many golf courses. The course originally opened in 1917 and decades later in 1992, it was joined by a second 18-hole course, Las Colinas. There are two courses at the resort, which features plenty of lodging and several restaurants, and both courses are tough and feature elevations changes you won't find anywhere else in Florida. The resort is just outside of Clermont in Central Florida, which is one of the leading triathalon training areas in the country. In other words, Mission Inn is not about target golf; you have to deal with elevations that you won't see anywhere else in Florida. 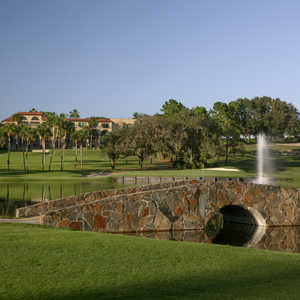 Of the two golf courses at Mission Inn, El Campeon is considered the most difficult. It was built in 1917 by famed golf architect George Ross and redesigned in 1926 to give the course a Scottish feel that you don't find often in Florida golf courses. El Campeon features rolling fairways and plenty of hills, along with undulating greens that are second to none in Central Florida. There is also water on nearly every hole. The companion course to El Campeon is Las Colinas, another difficult course, but they have differences that make a few days at Mission Inn worth the trip even if it is off the beaten path. Las Colinas is flatter and water comes into play more often. 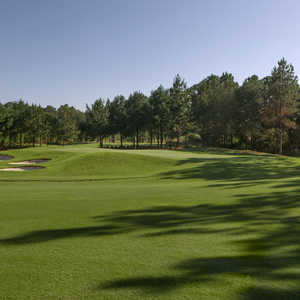 El Campeon, at 7,001 yards from the tips, might be shorter, but it is tighter, and the greens are much more difficult. 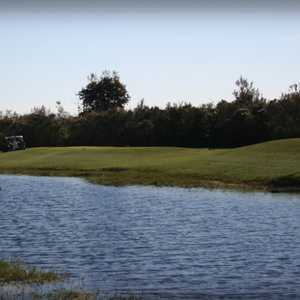 El Campeon was named the 2009 Florida Course of the Year by the National Golf Course Owners Association, and it has lived up to its reputation even if it is a bit out of the way. It's an hour's drive from the Orlando International Airport or the Tampa International Airport, and there are not a lot of accommodations nearby unless you stay on the property, but if you do, there are excellent rooms and several restaurants. It might not be the greatest place to bring children unless you want to send them on a 45-minute trek to Walt Disney World. Still, it's a great destination for Northerners who want to get warm in the winter for a golf junket. At El Campeon, you deal with elevation changes of more than 85 feet, which might not impress a visitor from Denver, but for Florida golf, it is certainly different. El Campeon bares its teeth on the fourth hole, a 405-yard par 4 with a long tee shot over water. If you hit the narrow fairway, the approach shot is to an undulating green that has bunkers on both sides. The No. 5, a long par 4, has no water, but there are bunkers everywhere, and at 450 yards, it's one of the longest par 4s on the course. No. 10 is a 569-yard par 5, the longest hole on the course, and is a dogleg right with water all the way down the right side. Don't go crazy off the tee, because hitting it too long will put you in the sand on the left side. Settle for reaching it in three, and take your chances on a tough, rolling green. A few holes later, you reach No. 17, the highest handicap hole on the course. It goes 556 yards, and reaching it in two is almost impossible, with an approach over water that fronts the greens and with sand in the back. Mission Hills is also home to the Gary Gilchrist Golf Academy. In addition to golf training, the academy offers high-level academics, fitness, sports psychology and tournament competition experience. "This is not what you expect from Florida golf, but that's what makes it interesting," said Mark Mango, who said he is a frequent visitor from Knoxville, Tenn. "We play all of the Florida courses in Orlando, but it's nice to see something different once in awhile." El Campeon is a tough course, and, still, people keep coming back, not only for the golf but also for the accommodations. Mission Inn is almost like a college campus without the football stadium: nice rooms to spend a few nights, plenty of restaurants available within walking distance and plenty of great golf. El Campeon is a tough, tight course, but the amenities are worth taking the trip to Howey-In-The-Hills. Don't expect any wild nightlife, but you can expect some great golf.